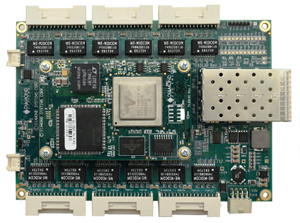 The EPS-24G2X is a managed Layer 2+ Ethernet switch based on Diamond's EPSM-10GX switch module. The switch implements all features of the EPSM-10GX, including 24 10/100/1000Mbps copper ports and 2 10Gbps SFI ports accessed via SFP+ sockets. The EPS-24G2X is designed in the industry-standard “3.5 inch” form factor. The standard cooling method is via a low-profile heat sink. The standard Layer 2+ software embedded in the module provides a comprehensive set of Ethernet switch features suitable for a wide range of industrial applications. All features are manageable via a GUI web interface accessible over any port, as well as with a command language accessed via a built-in RS-232 port. A more advanced software package offering Layer 3 routing performance, as well as IEEE1588 PTP protocol and 1PPS I/O signals, is available upon request. 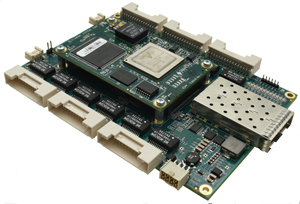 These features are fully supported in the EPSM-10GX hardware and EPS-24G2X product. EPS-24G2X is designed to meet the challenges of vehicle environments with its -40/+80°C operating temperature range and its MIL-STD-202G shock/vibration resistance. 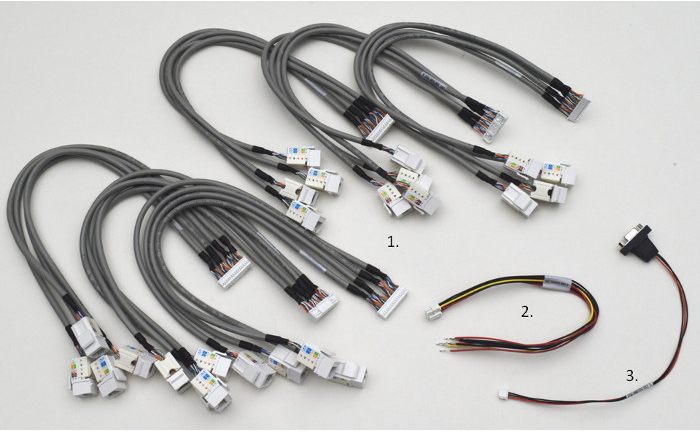 Latching connectors are used for all I/O for superior resistance to shock and vibration over the traditional low-cost RJ-45 style connectors. The 50% thicker PCB also aids in resistance to vibration. A wide-range input power supply with built-in transient protection provides compatibility with a range of industrial and vehicle power supplies. A cable kit is available to provide convenient access to all features of the board except the 1PPS signal. (1PPS signal requires software upgrade), Cable kit including 6 4-port 10/100/1000 Cat 6 RJ-45 cables, power cable, and serial interface cable.